Snack is a non-toxic plastic bin for bread. Its shape is designed to contain the most kinds and shapes of bread usually on the market. 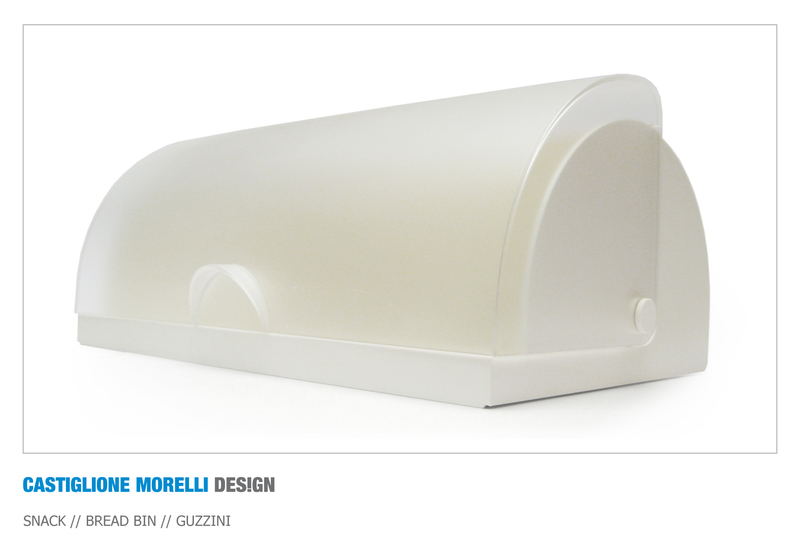 The bread bin is available in different colours, with turning cover both opaque and transparent. The particularly compact dimensions and the simple design allow this item to be placed on every kind of kitchen top. On the back of the bin there’re some small holes to create a microclimate in order to preserve the bread as long and best as possible. This superimposable confectionery bin belongs to the same set, but for HORECA market. Unlike the bread bin, it has a double opening purposely settled for the bench of the bar. The confectionery bin opens both towards the barman and towards the customer who can help himself to the brioches. 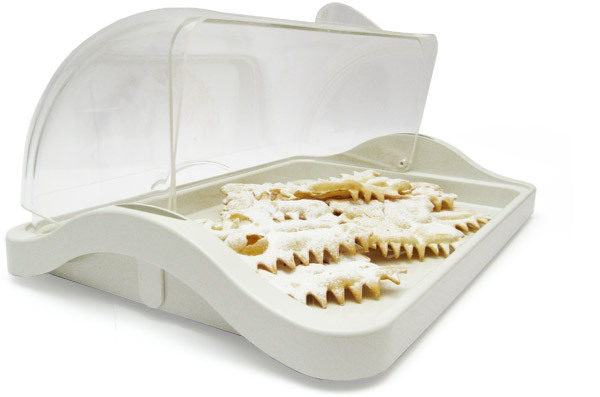 The tray is available in two colours, whereas the cover is ever made of transparent acrylic. It’s also available in the superimposable model with two confectionery bins joint together.